The reminders worked on my phone for a change today so I remembered to do October 1 day 12 pics. I did forget to post them to Instagram throughout the day, though, so I’ve just posted them all, one after the other! 2 – Working on getting as many October posts scheduled as I can. 3 – I fell in love with this battery operated snowglobe at the Range today. I’m going back to buy it once we’ve had our half-term holiday. 4 – Shopping is thirsty work! We stopped for a coffee at The Range. 5 – Leftover Slimming World chicken and leek pie (recipe coming soon!) for lunch today. 6 – Catching up with For The People. 8 – Catching up with Corrie. 9 – Chi Chi loves her monkey! 11 – Watching Gogglebox with Ant. It’s one of our fave shows. 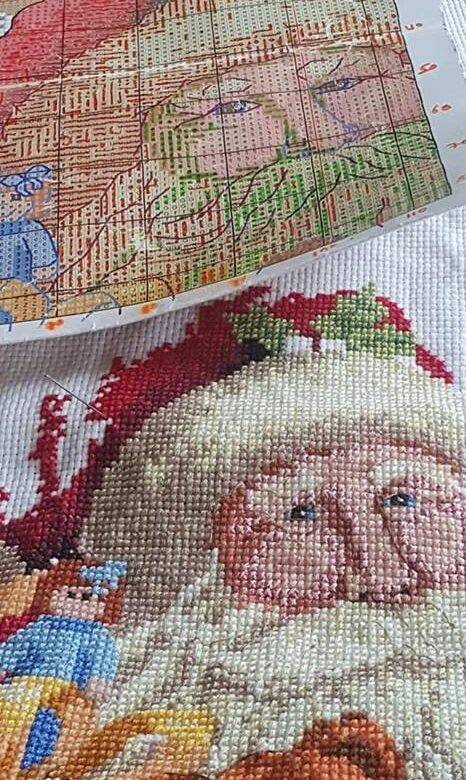 12 – Doing some more cross stitch.